Appliances used in the home are useful. They make life easier, help save energy and time. However, they can be a fickle bunch. It can be difficult to know when it is time to call for a professional device repair, or when you just need to discard the old junk. Are the devices at your home giving you trouble, but you’re not sure whether you need professional touch? We can throw light on the matter! Phoenix appliance repair is fast, reliable and efficient in the repair of household appliances. You can contact us today to learn more about our services or better still to schedule appointment with one of our experts. 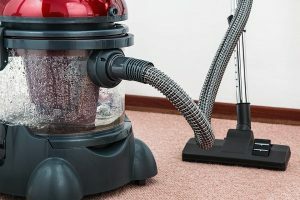 There is a reason for buying a particular appliance in the house and the appliance it meant to perform the task appropriately. Also you might have bought an appliance because it was advertised to have the capability to perform a particular task. Usually, if your product does not work as advertised, it’s probably a good idea to seek professional help before concluding if they should be repaired or discarded. Phoenix Appliance Repairs has well trained and exposed expert technician that specializes in the repairs of different appliances in the house ranging from your washing machine, refrigerator, dryer and many others. They can help you to check on your device so you can save your money. Safety is very important in handling appliances at home. 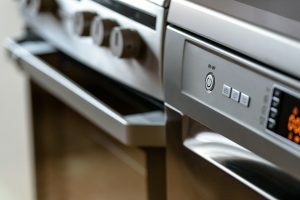 If your appliance begins to spark when connected, it is very important that the appliance be repaired. Please do not try repairing it by yourself especially an electrical appliance to avoid shock or death. You can contact the services of good appliance repair team like the Phoenix Appliance Repair to fix it up for you efficiently at your convenient. It is very hazardous to neglect sparks of light from your appliance even when it is still working appropriately. When you notice a change in the sound of your appliance at home or you notice that suddenly the appliance starts sounding so loud; it is a warning sign that you need the services of technicians. For instance, your fridge that was almost soundless when it was gotten but after sometime, it starts making a loud noise, you should service it immediately before it breaks down completely. Another warning sign that you will need the help of good appliance repair teams like phoenix appliance repair is when you notice an increase in the electricity bills. It could be that one of your appliances have developed fault without you noticing it. If your washing machine starts taking a longer time to dry cloth or the air conditioner starts working so hard; it will reflect in your energy bills and if neglected will cost you much on the long run. If you neglect this sign it might either lead to replacement of the whole appliance which will definitely live a big hole in your pocket or a continuous payment of high electricity bills. Do not neglect your appliance if they stop working. Putting off your refrigerator because it no longer works will not solve the problem rather it will be worsening it. 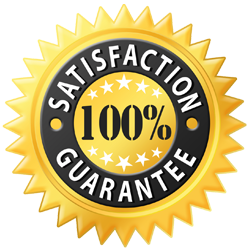 You just need to seek the help of professional like Phoenix Appliance Repair to put it in order for you. The more you neglect your faulty appliance, the worse it becomes. Some people might just decide to neglect appliances like their dishwasher and prefer to do the washing themselves. The truth is that dishwashers are more economical than washing with hand. The dishwasher economizes water while you tend to waste water when washing with hand which will result to increase in water bills. In summary, it is important to consciously observe our appliances at home to know when they need to be serviced and do so to save cost. In case you are in search of good and affordable appliance repair service, the Phoenix Appliance Repair is fast and reliable. We are experts in different appliances ranging from refrigerator, dishwasher, and dryer. W are always available to attend to you at your convenience.